The mobile bullet traps are intended for live-fire tactical training in sheltered and outdoor shooting ranges. 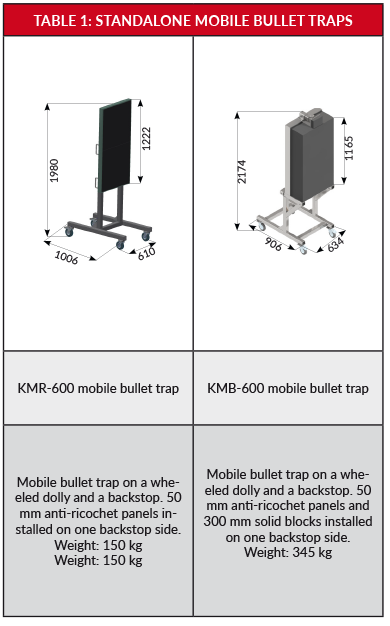 The mobile bullet traps can be deployed in linear series or as standalone units. 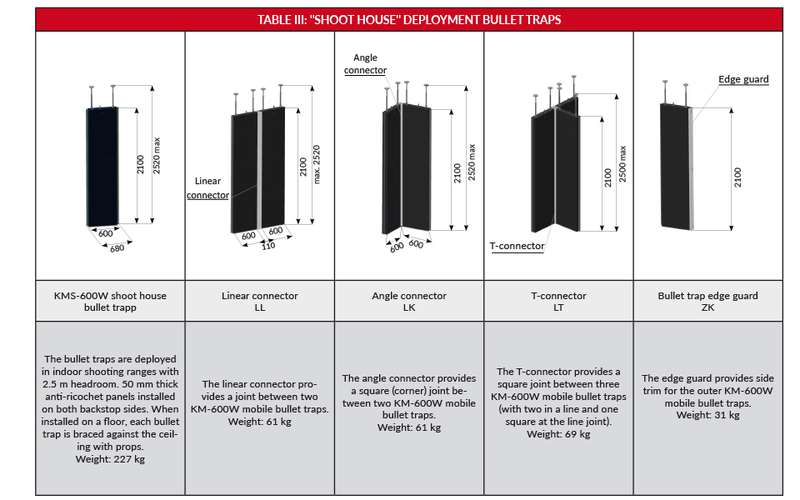 The mobile bullet traps facilitate any deployment configuration for building “shoot houses”. The mobile bullet traps withstand live round fire with a maximum bullet energy of 3600 J, including the following calibres: 9 mm, 5.62 mm, and 7.62 mm (and 7.62 NATO) (excluding: armour-piercing, tracer and incendiary rounds). 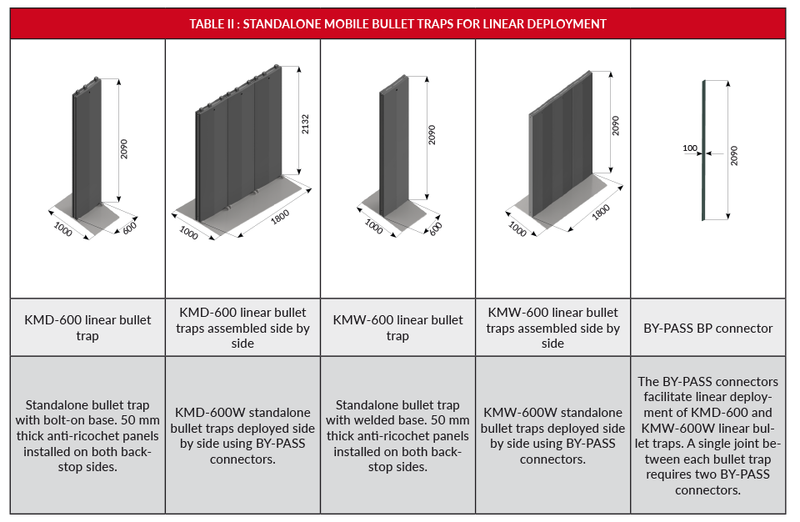 The KMB-600 bullet traps withstand live round fire with a maximum bullet energy of 6600 J, e.g. .338 LM.